Name a more stylish safety car than the Z8. We'll wait. 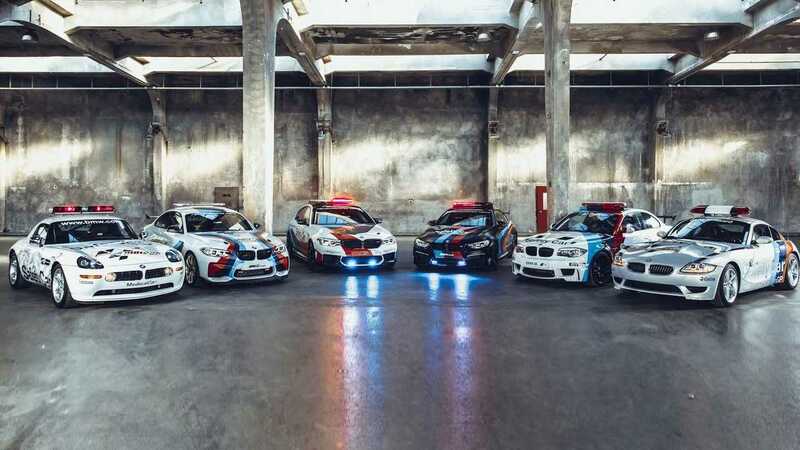 BMW through its go-faster M division has been providing MotoGP since 1999 with some of the coolest safety cars the motorsport world has ever seen. With the 20th anniversary on the horizon, the Bavarians have decided to look back in time and brush up our MotoGP Safety Car trivia by releasing a video with some of their prized possessions. While the focus is on recent cars like the M2 Coupe, M4 Coupe, and the latest and greatest M5, we’re also given the privilege to admire the gorgeous Z8 used during the 2002 season. Five years later, the Z4 M Coupe graced the MotoGP scene, as did the 1 Series M Coupe in 2011. Some were more exciting and appropriate than other as we’d rather see any of the above-mentioned cars than the X6 M used during the 2009 season. What will they use for next year? Depending on whether the M8 makes its official debut in the first part of the year, we might see the large-and-in-charge coupe serving as the official MotoGP safety car. The already teased X3 M or X4 M due in 2019 might also fulfill this role to boost the exposure of the first-ever fully fledged M variants of the two crossovers. Bear in mind BMW M’s partnership with MotoGP isn’t limited to these safety cars as the German automaker is also handing out a free M car to the fastest qualifier of the season. For the last six years, that has been a one-man affair as Marc Marquez has received the keys to an M6 Coupe (2013), M4 Coupe (2014), M6 Convertible (2015), M2 Coupe (2016), M4 CS (2017), and an M3 CS (2018).